A new scientific study reveals how American Christians imagine both the face and personality of God — and the results aren't quite what you'd think. Joshua Jackson et alThe composite faces that study participants believed to be most God-like (left) and least God-like (right). For millennia, artists, writers, and philosophers have tried to understand and depict the face of the Christian God. But now scientists have taken a shot. A team of psychologists at the University of North Carolina at Chapel Hill took hundreds of randomly varying pairs of human faces, then showed them to a sample group of 511 American Christians. The participants, which included 330 men and 181 women, combed the face-pairs and selected the ones they thought best matched what God looks like. 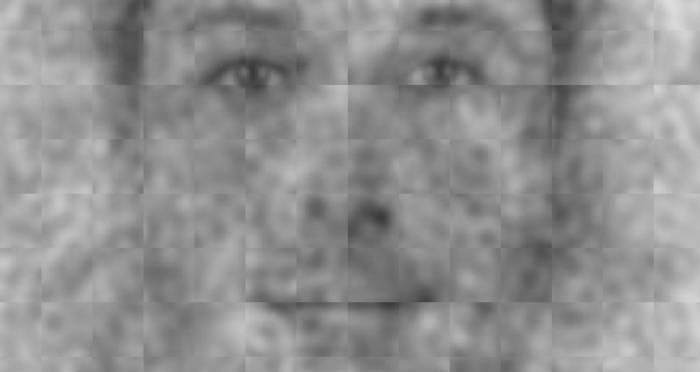 Using the participants’ selections, the researchers merged the results to create a composite “face of God” — and it might not look quite like you’d think. According to results published in the journal PLOS ONE on June 11, the researchers found that their participants saw God as more feminine, less Caucasian, and younger than the widespread depiction of God as an old white man with a long beard would suggest. Furthermore, the researchers also asked participants questions about both God’s face and personality, finding that the answers varied according to participants’ political affiliations. God as imagined by Liberals tended to be younger, more feminine, more African-American, and more loving. On the other hand, Conservatives’ perception leaned toward a God that was more Caucasian, masculine, wealthier, and more powerful. Joshua Jackson et alThe composite face of God as determined by study participants who are politically Liberal (left) and politically Conservative (right). “These biases might have stemmed from the type of societies that liberals and conservatives want,” said lead study author Joshua Conrad Jackson. Past research shows that Conservatives are more motivated to live in a well-ordered society, which would be best regulated by a powerful God, while Liberals are more motivated to live in a tolerant society, best regulated by a loving God. Perhaps the most telling finding, though, was that people tended to imagine that God’s facial characteristics matched those of someone pretty familiar: themselves. Older participants envisioned an older God, African-Americans participants envisioned a God that was marginally more African-American, and more attractive participants envisioned a God that was more attractive. However, study participants of both genders viewed God as equally male. So, despite some surprising findings, at least one entrenched notion about the face of God does hold true after all. Next, discover who wrote the Bible. Then, read about Ernie Chambers, the man who literally sued God.